Following two years of success in Plymouth, PPTS made its first expansion in 1996 opening the Wixom/Walled Lake Center. At that time we were the preferred provider for the Ford Motor Company Wixom Plant and quickly gained popularity among local physicians and the community. In the late 90’s we began a relationship with the Walled Lake School District providing athletic training and sports medicine services to the high schools. In addition to the Walled Lake schools we are now proud to include service to St. Catherine of Siena Academy, Catholic Central High School, and Franklin Road Christian High School. We have remained an active member of the Lakes Area Chamber of Commerce. Shawn Grant, PT, MS, OCS, FAFS, Cert. MDT, joined the PPTS team in 2004 as center director and has been involved in the community since that time. He has worked with numerous collegiate and professional athletes in addition to the many high school kids who attend physical therapy. Shawn has lectured locally to physician groups, physical therapists, and at community events. 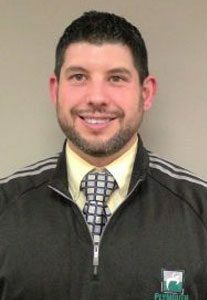 He is a Board Certified Orthopedic Clinical Specialist (OCS), Certified in Mechanical Diagnosis and Therapy (MDT), and recently became a Fellow in Applied Functional Science (FAFS).